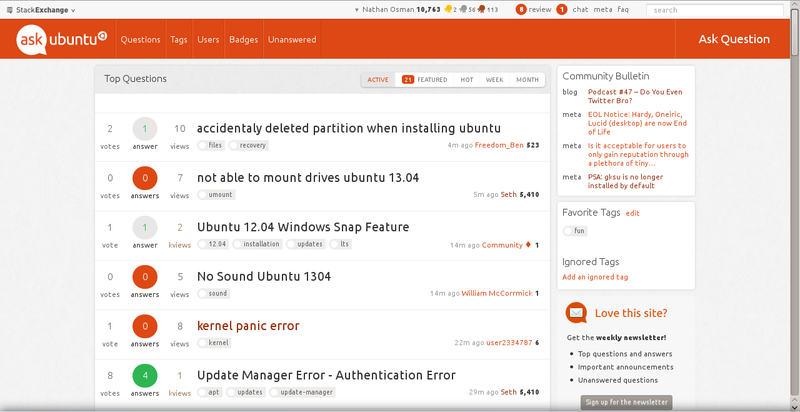 Recently, well, maybe not too recently, we saw the Ubuntu homepage get a new look. Linked here. I'm also throwing an image below comparing the two if you don't want to go through the trouble of getting to the actual site. Image is a little small, but essentially they removes the lines in the title bar, moved some icons, and re-named some menus. Gave everything a softer feel. In short, it looks like we're a little behind the times. Not too big of a change, but OMG!Ubuntu covered the revamp not too long ago. Is it time for a website upgrade to follow the previous theme of: We look like the Ubuntu website? Or should we keep what's familiar? It's still a work in progress, but it makes a huge difference if you ask me. Want to give it a try? Of course you do! Should the site be “Ubuntu Specific”? Should we make an IRC channel of this site?